The Ulrich Museum of Art and Wichita Art Museum partner for a two-day forum of presentations from art historians, scholars, and visual artists who will expand on the legacy of the historical and contemporary relevance of the work of Kansas born photographer Gordon Parks. The first day of the symposium will be held at the Ulrich and will include three presentations. Houston-based artist Jamal Cyrus will speak about the political, psychological, and spiritual deployment of imagery within our society. Julia Brown, assistant professor of painting at George Washington University, will discuss work from her current exhibition at the Ulrich, The Swim. John Edwin Mason, associate professor of history and associate chair of the department of history at the University of Virginia, is Friday’s keynote speaker. Mason will illustrate the ways in which Parks employed photography and prose as tools. Visit ulrich.wichita.edu/visualjustice for the complete schedule and more information. Kids of all ages will explore the photographs of Kansas born artist Gordon Parks through story, music, and special make-it-take-it art projects. Inspire a lifetime of artistic engagement by participating in art activities designed to stimulate young minds. This event is free and open to the public. 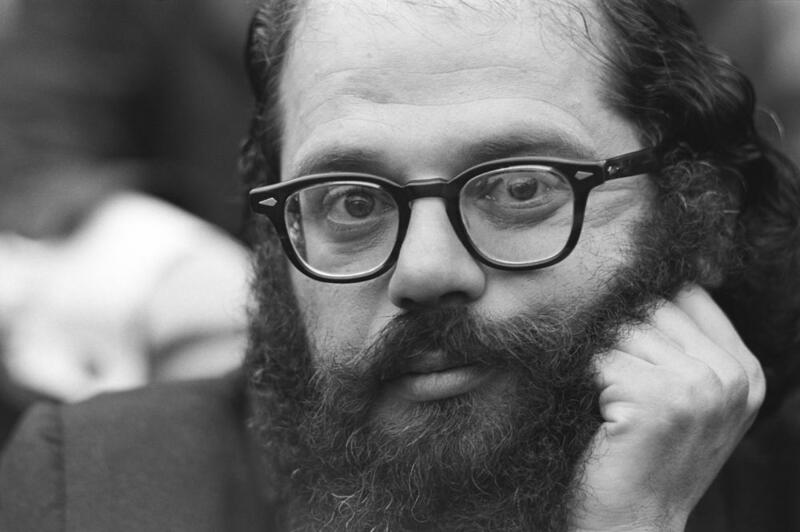 Join us in celebrating the 50th anniversary of poet Allen Ginsberg’s trip through Wichita in 1966 with a panel discussion on the history and importance of Ginsberg’s three week stay and the first reading of his poem Wichita Vortex Sutra that took place at WSU. Panel members include Dr. Roger Irwin, retired Professor of Philosophy and Comparative Religions; Dan Rouser, former Wichita Eagle and Beacon staff member; Dr. Jay Price, WSU Professor of History; and James W. Johnson, independent curator. KMUW commentator Jedd Beaudoin will perform a reading of Wichita Vortex Sutra following the panel discussion. Read more about Ginsberg’s Wichita connection. This event is sponsored by the WSU Department of History partnered with the Ulrich Museum of Art and KMUW. Beauvais Lyons’ work over the past thirty years has explored various forms of academic parody. Lyons will speak about contemporary artists who have mocked the authority of the academy, the museum, science, history, and commerce through painting, prints, sculpture, ceramics, photography, and design. Lyons is Chancellor’s Professor at the University of Tennessee, Knoxville and his work is held in numerous public collections, including the Smithsonian’s American Art Museum, The Whitney Museum of Art, and the Philadelphia Museum of Art. In 2002, he received a Fulbright Fellowship to teach at the Fine Arts Academy in Poznan, Poland. ShockPress Visiting Artist Talks are supported by the WSU Print Media department, the WSU School of Art, Design and Creative Industries, and Tornado Alley Press. For more information visit: wichita.edu/shockpress. Michele Battiste, a Wichita State MFA alumna, has published work in American Poetry Review, Beloit Poetry Review, and Anti-, among others. She has written six volumes of poetry, including Ink for an Odd Cartography, Uprising, and Slow the Appetite Down. Writing Now/Reading Now is co-sponsonsored with the Department of English, Dorothy and Bill Cohen Honors College, Fairmount College of Liberal Arts and Sciences, Office of Academic Affairs, University Libraries, and Watermark Books and Cafe. The Ulrich will offer extended hours on Wednesday evenings during the exhibition of Visual Justice, staying open until 8 P.M. Learn more about the current exhibitions at the Ulrich with a guided tour. Tours are free and bus reimbursement is available for groups of 10 or more with advance reservation. Schedule a tour today!